with unmatched expertise in the applied supply chain. Our team creates value by bringing proven expertise to companies throughout the growth cycle, from early-stage to late-stage. The firm’s Operating Partners, each of whom is a successful entrepreneur and experienced operating executive, provide critical operational and strategic assistance to portfolio company management throughout the investment lifecycle. Cambridge Capital’s professionals provide additional support to its portfolio companies through its deep team, lending assistance with strategic planning, financial structuring, recruitment, and all other areas associated with company growth. Bill Conley is an Operating Partner with Cambridge Capital. Bill has been involved with several start-ups in the technology and logistics sector, including as a current Board Member and former CEO of Sky-Trax (dba: Total Trax). In that role, Bill brought over 35 years of supply chain logistics experience, extensive managerial experience with both large-scale and growth-oriented operations, and strong relationships with key players in the supply chain industry. Before Sky-Trax, he was President of ATC Logistics and Electronics, a $360 million division on ATC Technologies Corporation, where he held responsibility for the overall leadership and management, while providing strategic vision for value-added logistics and supply chain services for high value, high velocity, and serialized products from post-manufacturing to end of life. Prior to ATC, Bill was Vice President- General Manager, of FedEx Supply Chain Services-Europe, Middle East and Africa, where he was responsible for value added logistics and supply chain services, including e-fulfillment for Federal Express Corporation. Bill held a number of positions during his FedEx career, including Vice President, Logistics and Electronic Commerce Asia; Managing Director, Air Freight Systems; Managing Director, System Control; and Managing Director, National Accounts. Earlier in his career, Bill was National Manager, Sales and Service, for Allied Airfreight, a division of Allied Van Lines, and he also worked for Delta Air Lines. Bill holds a BS in Aeronautics from St. Louis University, Director Certification from the Anderson School of Management, UCLA, Executive Development Certification from the Wharton School, University of Pennsylvania, and did post-graduate work at DePaul University. He served as a Captain in the U.S. Air Force and received various commendations for his service during the Vietnam Era. Bill Phelan is an Operating Partner with Cambridge Capital. Before joining Cambridge Capital, Bill was the founder and CEO of Charter Brokerage LLC, a premier non-asset based third-party logistics provider to the petroleum, chemical and airline industries. 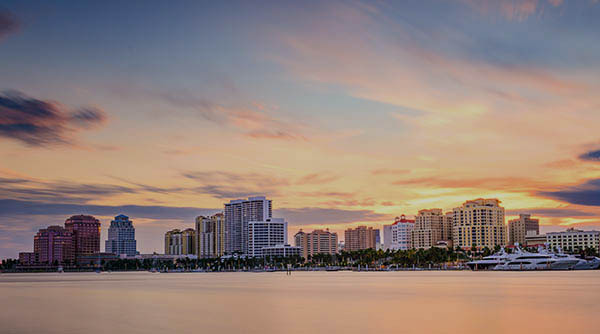 Charter’s services include customs and export brokerage and compliance services, duty drawback consulting and claims processing, and administration of storage and distribution facilities for foreign-trade zone status jet fuel. Bill was responsible for the growth of Charter from a start-up to an industry leader, and in 2014 oversaw the sale of the business to Berkshire Hathaway. Prior to Charter, Bill was a partner in the international trade law firm of Phelan & Mitri. Bill holds J.D. from New York Law School and a Bachelor of Arts degree from Holy Cross College, where he serves as a trustee. Christopher George is an Operating Partner with Cambridge Capital. Chris was CEO of Highland Products Group, a B to B ecommerce company which he founded in 2001 and sold to PlayCore in 2017. Highland was an early innovator in the ecommerce business. By developing a fully integrated front end, back end and logistics management system, the company was able to achieve sales per employee above $900,000, which was the highest of its peer group. Highland developed one of the first real time LTL freight estimators directly integrating 14 national and regional LTL carriers as well as small parcel carriers FedEx and UPS into its website and order entry/management console capable of managing individual orders with multiple product origins, multiple shipping methods and multiple destinations. The Company was recognized within the industry as an innovator in sourcing and product design enabling it to achieve gross margins as high as 80% on its design patented products. Highland established an unrivaled supply network within its vertical consisting of over 100 manufacturers. Highland was named to both the Internet 500 and Inc. 5,000. 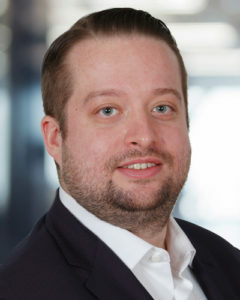 Chris was previously a Partner at the global macro hedge fund Omega Advisors, and a Managing Director in the equity research department of Bear Stearns. Chris holds an MBA in Finance from the NYU Stern School of Business, where he was named a Stern Scholar for outstanding academic achievement. He also hold an A.B. in Asian Studies and Political Science from the University of Michigan. David Brooks is an Operating Partner with Cambridge Capital. David is the former President of the Cargo Division of American Airlines, a position he held for 16 years. During his tenure he implemented numerous industry-leading improvements to American’s airfreight and mail franchise in the areas of product development, business process reengineering, and customer service. American’s Cargo Division has been routinely recognized for its service levels, and was voted the best North American Cargo Airline for the third year in a row by its customers in a highly regarded industry survey. Prior to leading American’s Cargo Division, David was President of the Airline Services Division of AMR Services, an aviation services company owned by AMR Corporation, where is was responsible for the international growth of the business. AMR Services was sold by AMR in 1996 and is now known as Worldwide Flight Services, a leading global provider of aviation services. David is currently a member of the Board of Directors of Cargo Airport Services, the largest ground handling company in North America. CAS is owned by ICV Partners, a New York-based private equity fund that manages $400 million in committed capital. Davids’ former Board affiliations include NASCO (North American Super Corridor Coalition), and a member of the Advisory Board of CNS (Cargo Network Services), an IATA-owned company. David is a graduate of Dickinson College (BA) and Cornell University (MBA) and resides in Dallas, Texas with his family. Gene Tyndall is an Operating Partner with Cambridge Capital. Gene is also former President of Ryder Supply Chain Solutions and President of MonarchFx, a Division of Tompkins International, a leading consulting and services firm that provides eFulfillment services to sellers of products online. Gene is a globally experienced and recognized management consulting and business executive, having advised over 100 corporations in over 40 countries. He has co-authored four books (including SUPERCHARGING SUPPLY CHAINS); authored dozens of articles; and is frequently quoted in business and industry media, including SCDigest, where he is an Associate Editor. He is a frequent seminar/conference chairperson, speaker, moderator, and panelist around the world. He is a Director on two Boards. Prior to merging his executive advisory firm (SCEA) into Tompkins, Gene was Executive Vice-President at Ryder System, Inc., and President of the company’s Global Supply Chain Division, a $1.8 Billion Business Unit providing logistics services for over 200 client companies around the world. 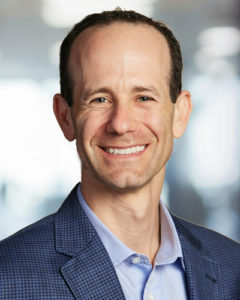 Prior to joining Ryder, Gene was a Senior Partner and Leader of the Ernst & Young Global Supply Chain Management Consulting Practice, growing the business to over $1.5 Billion annually. He advised and led business transformations for over 100 well-known global corporations during his consulting career across several industries. Gene was awarded the “Global Logistics Person of 2007” by the Global Institute of Logistics, which also voted him into the Global Logistics Hall of Fame. He was named one of the “Top Ten Innovators for 2002” by Information Week magazine. He has won several awards as a Keynote Speaker, Seminar Leader, Group Facilitator, and Conference Chairman. Gene was a U.S. Navy Officer, serving globally on an aircraft carrier and at the Pentagon. He graduated from the University of Maryland; The George Washington University; the Institute of International Management Development in Switzerland; and several executive training programs at Stanford, Harvard, and the University of Miami. Herb Shear is an Operating Partner with Cambridge Capital. Herb spent his career as principal owner, chairman and chief executive officer of GENCO Supply Chain Solutions, North America’s 2nd largest and a Top 50 Global third-party logistics provider based in Pittsburgh, Pennsylvania. Joining GENCO in 1971, Herb became the family’s third generation involved in the logistics business. Herb successfully transformed the company by pioneering supply chain processes, which focused on optimizing the value of customer assets. In the early 90s he founded the centralized returns process, known today as reverse logistics, through partnership and collaboration with leading retail and manufacturing companies. GENCO’s proprietary reverse logistics software combined with innovative product liquidation solutions is now utilized by many companies to generate revenue from their returned and overstocked inventory. Herb grew GENCO into a complete suite of supply chain management and technology solutions serving a diverse range of retail, manufacturing and government customers. GENCO employs over 7,000 teammates, operates over 37 million square feet of warehouse space at more than 130 operations throughout North America and has numerous software installations in Australia and the United Kingdom. In 2015, GENCO was sold to Fedex for $1.4 billion. Herb is a past recipient of the Council of Supply Chain Management Professionals’ Distinguished Service Award, the association’s highest honor to an individual who has made significant, career-long contributions to the supply chain management and logistics professions. Herb holds a bachelor’s degree in Finance & Marketing and completed post-graduate studies in Business Administration from Southern Illinois University. He has also completed Executive Entrepreneurial and Leadership Programs at Stanford University, Carnegie Mellon University and Northwestern University. He is an active member of the Young Presidents Organization, World Presidents Organization, Council of Supply Chain Management Professionals and the Warehouse Education and Research Council. He also sits on the advisory board of Southern Illinois University College of Business Administration. Jack Holmes is an Operating Partner at Cambridge Capital. 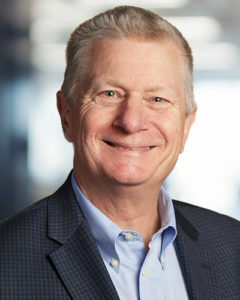 Jack serves as Chairman of the Board for 10-4, a provider of SaaS-based logistics solutions including an automated transportation exchange that connects shippers, carriers, and 3PLs. Jack also serves as a board member for Simplified Logistics, which provides services and technology solutions in the areas of freight payment, savings, and data analysis. Jack has had a distinguished career in the freight transportation industry. He served as President of UPS Freight from 2007-2016, a company where he first began his career as a package handler in 1979. He worked his way up through various operations and transportation management assignments, before taking his post as President in 2007. Jack also previously served as co-chair of the U.S. Department of Transportation’s National Freight Advisory Committee’s Conditions, Performance and Data Subcommittee under U.S. Secretaries of Transportation Ray LaHood and Anthony Foxx. He attended West Chester University of Pennsylvania as well as Cornell University, where he studied labor and industrial relations. Jim van Leenen is an Operating Partner with Cambridge Capital. Jim is CEO of Fleetgistics, a provider of same-day logistics services for businesses. Previously he was CEO and President of Flash Global Logistics. He acquired Flash in 2007 in collaboration with investors, which he then grew into a global leader in the mission-critical parts arena. Jim brings a successful 30-year track record as business leader in Logistics and Supply Chain industry in a number of different countries. A native of the Netherlands, Jim speaks four languages and has enjoyed international assignments in the logistics industry in The Netherlands, UK, France and Canada in addition to the USA. 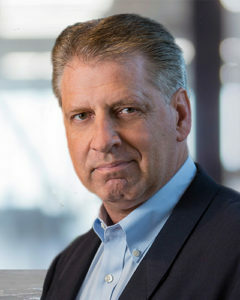 Jim’s broad business experience includes senior leadership roles at Livingston International Inc. (Vice President Canada), GE Capital Equipment services (Vice President & General Manager Canada) and with GE Capital in Europe (Vice President Operations Europe and Managing Director Corporate Integrations). From 1998 through 2004, he held the positions of President Canada and President of the International division with Sirva Inc. with business units in Europe, the Americas and Asia Pacific. Sirva went public in 2004. During his 8 year tenure with GE Capital, Jim was awarded the prestigious GE Pinnacle award in 1996 and the GE President’s Circle award 5 years consecutively, recognizing his achievements as a successful business leader in one of the world’s largest companies. In 1996, at GE Capital in Europe, Jim played a pivotal role in the roll out and implementation of Six Sigma throughout Europe. He underwent extensive leadership training in the “GE University” and he is a certified Green Belt and Black Belt. Michael Durham is an Operating Partner with Cambridge Capital. Michael has spent decades serving in a variety of leadership roles in supply chain businesses. He began his career at American Airlines, where he spent 16 years. He ultimately served as CFO of American, after progressing from Senior Vice President of Finance to Treasurer. Mr. Durham led the spin-off of Sabre Holdings from American Airlines in 1995 and served as Sabre’s President and CEO. While leading Sabre, a publicly traded provider of information technology services to the travel industry, Michael oversaw the development of Travelocity.com. Michael’s experience includes numerous board positions, such as his role as Chairman of Hotwire, Director of Travelport Limited, Non-Executive Chairman of Asbury Automotive Group, Independent Director of The Hertz Corporation, and member of the Board of Advisors of TripAdvisor. He received a Bachelor of Arts degree in economics from The University of Rochester in 1973 and a Masters of Business Administration from Cornell University in 1977. Randy Mullett is an Operating Partner with Cambridge Capital. Randy is also the founder of Mullett Strategies, a consulting practice located in Washington, DC helping clients ranging from well-known Fortune 100 brands to technology startups navigate the intricacies of our Federal government. His practice is focused on freight transportation, sustainability, security, emerging technologies, and aligning business structures and resources to support strategic goals and outcomes. Prior to forming his practice, Randy was Vice President, Government Relations and Public Affairs, for XPO Logistics (formerly Con-way Inc.) a $7.8B freight transportation and global logistics services company. 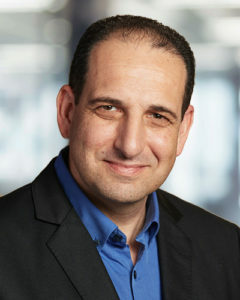 As a member of Con-way’s Executive Leadership Team reporting directly to the CEO, Randy had global responsibility for all Government Relations and Public Affairs activities, Corporate Security, Corporate Communications, Public Relations, Brand Management, and Corporate Social Responsibility. He also served as Con-way’s Chief Sustainability Officer. In that role, he directed corporate-wide initiatives focused on improving economic and environmental sustainability through continuous evaluation and adoption of practices that improved operating efficiencies and reduced carbon emissions while adding to the bottom line. One of Randy’s key roles was acting as the executive sponsor for various projects involving the identification, testing, piloting, and implementation of new technologies involving mobile technologies, operations management systems, alternative fuels, and technology enhancements. Before being assigned to his corporate role, he spent 26 years in trucking operations management and sales. A sought-after international authority and frequent speaker on transportation, business strategy, security, and sustainability, Randy has received several federal government appointments including Vice Chair of the National Cooperative Freight Research Program Oversight Committee, member of the USDOT National Freight Advisory Committee, and member of the USDHS Highway and Motor Carrier Sector Coordinating Committee. He is also a member of the World Economic Forum’s Global Expert Network on the future of supply chains and logistics and has served on the advisory boards of the Maritime Institute at Old Dominion University, the Transportation Sustainability Research Center at Berkeley, and the University of Michigan Transportation Research Institute. Additionally, Randy serves on the Board of Directors for Trucker Tools and previously served on the boards of Fueling California, The American Trucking Associations, The Cargo Airline Association, The Intelligent Transportation Society of America, and The National Association of Manufacturers. Randy is a graduate of Shepherd University (BS) and Old Dominion University (MBA).